— The central bank has received some 37 applications from interested sponsors for setting up new private commercial banks (PCBs) under the amended guidelines, officials said Wednesday. — The insurance regulator, Insurance Development and Regulatory Authority (IDRA), Wednesday said non-life insurers will be allowed to provide insurance coverage through policies to different kinds of related risks associated with businesses of their respective directors, their spouses, children, parents, brothers and sisters and dependants until December this year. 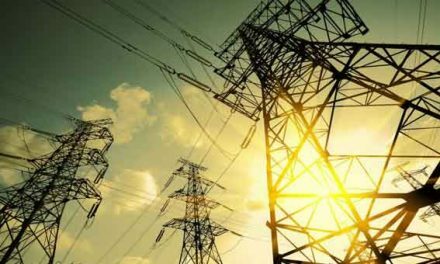 — Power tariff for bulk consumers goes up by 16.79 per cent from today (Thursday) in line with a previous decision of the country’s energy regulator. — Prime Minister Sheikh Hasina has stated that had there been adequate money with the government, it would have split Dhaka City Corporation into four zones instead of two. — Elections to the bifurcated DCC by next February appear to be uncertain as the Election Commission finds it difficult to complete preparations for the polls prior to the expiry of its tenure. — The government yesterday awarded trophies to 45 successful businesspeople for their extraordinary performances in exports in fiscal 2009-10. — The High Court on Wednesday asked the government to explain why the Local Government (City Corporation) (Amendment) Act 2011 the parliament had passed the day before diving the Dhaka City Corporation into two entities should not be declared unconstitutional. — The Bangladesh Nationalist Party has announced to enforce a dawn-to-dusk general strike in the capital city on Sunday in protest at the split of Dhaka City Corporation into two entities. — Dhaka stocks surged on Wednesday amid investors’ optimism as some sponsors/directors of the listed companies announced to buy shares of their respective companies to comply with the market regulator’s directive that requires sponsors/directors of every listed company to hold a minimum of 30 per cent stake in the company.